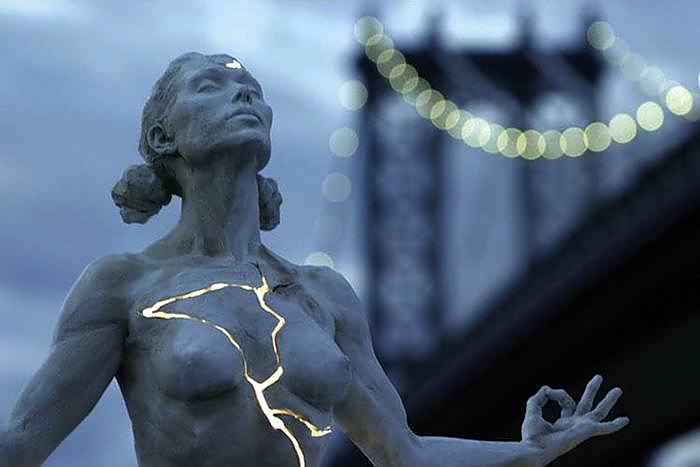 HomeBlogArtExpansion sculpture by Paige Bradley. 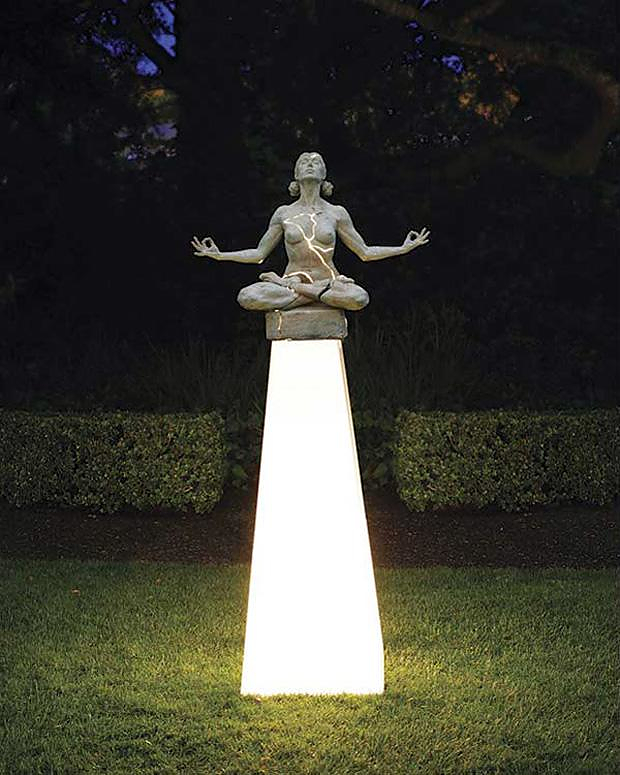 When I first saw the Expansion sculpture by Paige Bradley I was immediately captivated by its harmony, beauty and the great combination of medium and message. 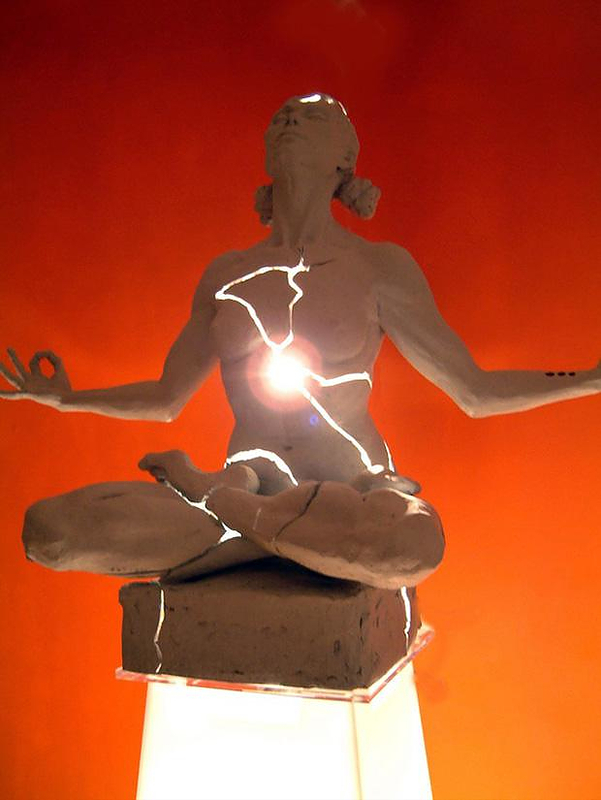 It is the sculpture of a woman meditating in lotus position with her body cracking to reveal an inner light. 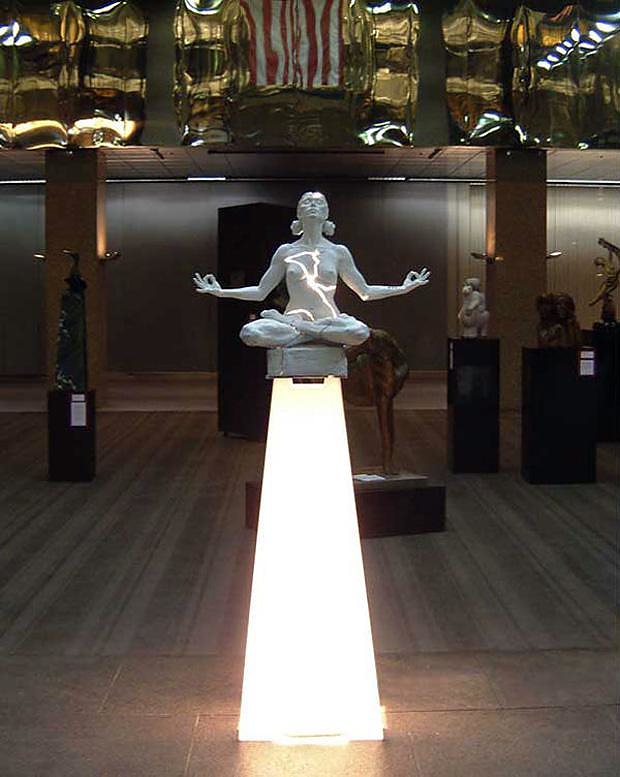 This unique sculpture in combination with the title “Expansion” communicates its intended message in the best possible way. Do not be afraid to expand beyond your body and social structures. When the time is right, sometimes we have to crack open our own rigid structures and express our inner self and emotions…. what we are inside. Would we recognize ourselves if we could expand beyond our bodies? 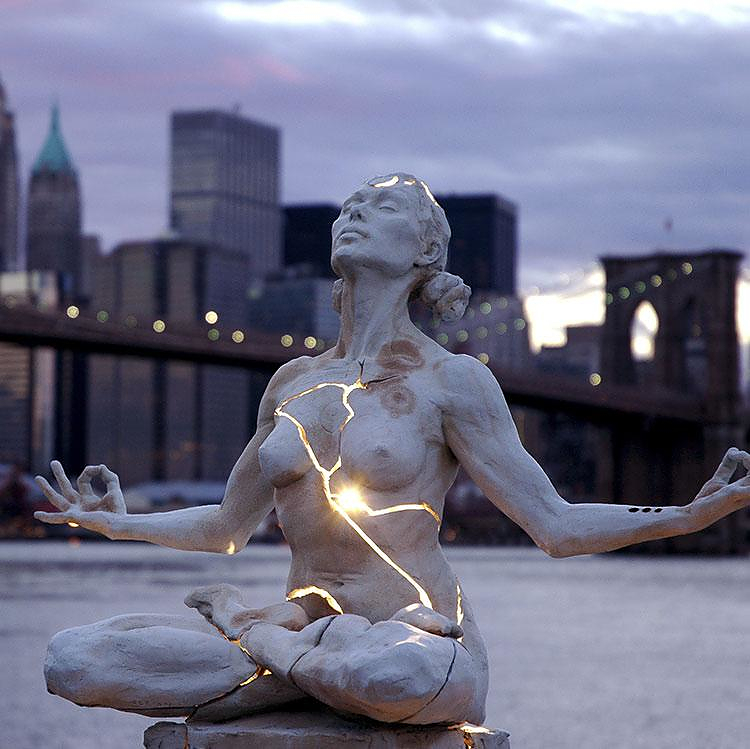 Would we still be able to exist if we were authentically un-contained?” A great sculpture by Paige Bradley, which explores the relation between mind and body, an ancient, yet always important philosophical problem. However except the philosophical extensions, Bradley’s work is also remarkable purely as a sculpture. Initially “Expansion” was a clay sculpture. Realizing that fine-tuned figure work had lost its sway in the art world in recent years, Bradley literally LET GO of the sculpture, willingly allowing it shatter. She then cast it again in bronze and placed the shattered remains of the initial version on top of it. The final detail was the inner lighting fixtures, which create this stunning effect of that inner glow, emanating through the cracks. A very unique piece of art whose meaning could be interpreted in so many ways. My personal favorite interpretation, is looking at it as if it reveals the hidden light that lurks beneath us and can be exposed once we are willing to allow it.